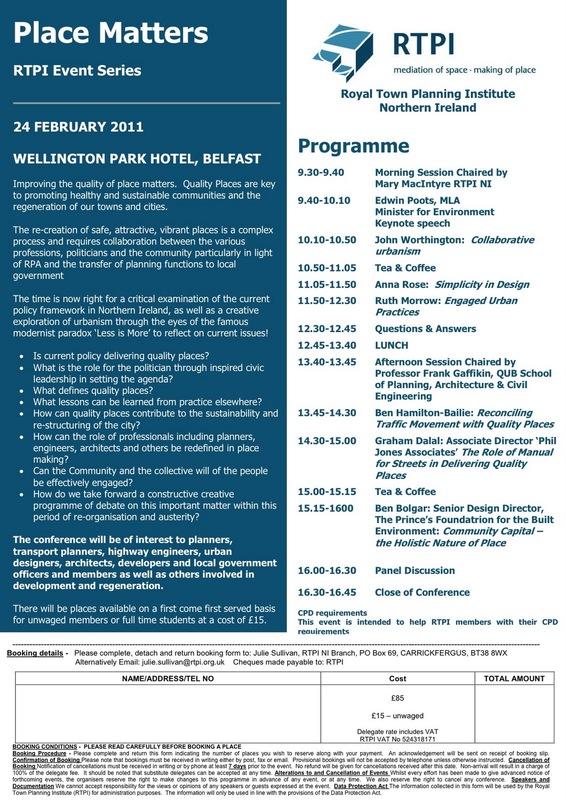 RTPI NI hold their Place Matters Conference on 24th February 2011 at Wellington Park Hotel. 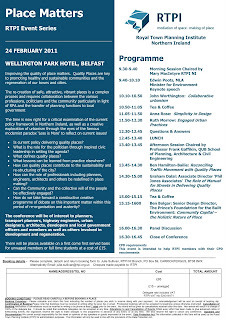 RTPI conference booking form. Click to enlarge/print. Building Material, the journal of the Architectural Association of Ireland, is seeking submissions for an image-based project to appear online, in advance of the next issue on the theme of mapping. The project seeks to explore mapping as a means of analysing and understanding the effects of our current position in the economic cycle on architecture and the built environment. We spoke to Eunice Yeates, a writer and editor, who has been involved with the Wordscape project for PLACE and the Verbal Arts Centre. Are there places in Ulster that have had an impact on you? Absolutely. In fact, when I was a child, long before I came to live in Ulster, I was captivated by the sense of place pervasive in Kavanagh’s writings about Monaghan, especially how place names were like invocations in his poetry (Mullahinsa, Drummeril, Black Shanco). Then the Ulster portrayed in MacNeice and Friel and, of course, Heaney. I discovered Van Morrison when I was a teenager, and loved how he mapped all these alluring-sounding places like Cyprus Avenue and Fitzroy and Sandy Row. 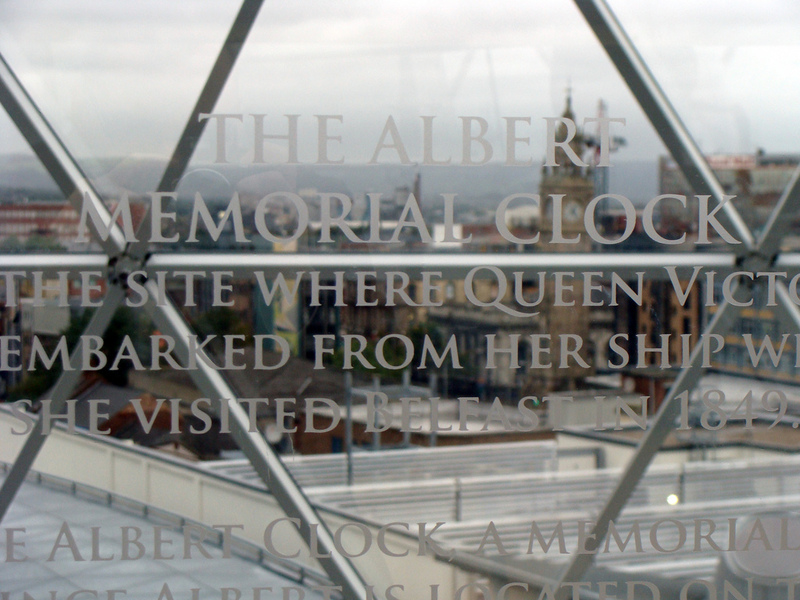 The Albert Clock viewed from Victoria Square in Belfast. Photo by Flickr user Howard. When I lived on the North Antrim coast in the early ‘90s I was reading a lot of John Hewitt’s poetry and thinking a great deal about the deeper implications of place in an Ulster context. 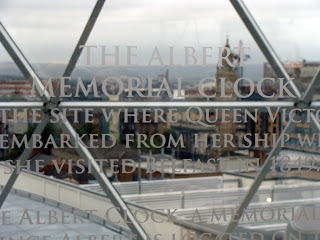 Then I moved to Belfast in the mid ‘90s and was swept up in the surge of the local writing scene. 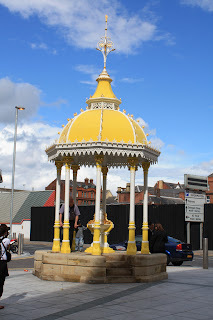 There was an extraordinary energy in the wave of playwrights and novelists and poets sharing their work, and Belfast resonated with me in a way that no other place ever had. I spent over 12 years living in North America and Asia and Africa but, in the end, I returned to settle in Belfast. 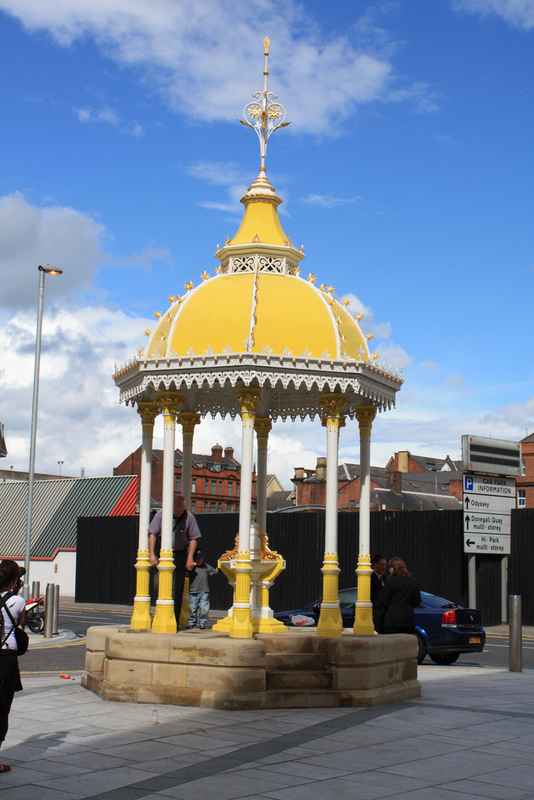 There are people who don’t understand what it is about Belfast that drew me back. It doesn’t pretend to be a beautiful city. It’s not Paris, but there’s something about this place that speaks to me; perhaps its resilience. I respond to the hills all around and Napoleon’s Nose sharply on the horizon; the Albert Clock at a tilt and City Hall like a wedding cake; the serenity of the tow path and the red brick of Queen’s University; the black taxis and pink buses and all the churches and bars; the garish yellow of City Hospital and of the hulking gantries; the bend in the Lagan when you cross the Ormeau Bridge and maybe see a team out crewing; I respond to all this because Belfast is a place that has claimed me. Since October, we have been exploring the relationship between language, writing and the built environment with experts and practitioners from the fields of architecture and literature. 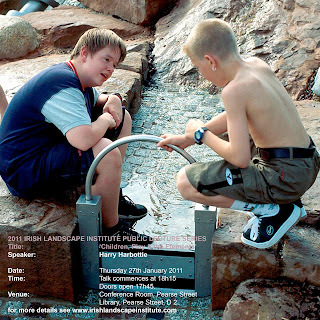 Funded by the Arts Council of Northern Ireland, Wordscape is a joint initiative between PLACE and the Verbal Arts Centre. 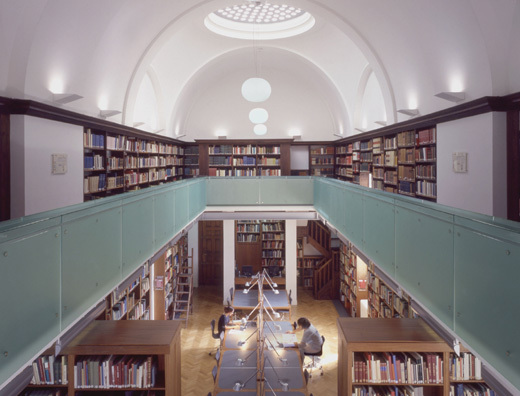 It will examine the context for the creation of the written word and the design of the architecture in Ulster. Coming soon: An interactive Wordscape website, featuring writing from many of Ulster's established and emerging writers, as well as multimedia content and topical articles by experts and enthusiasts.